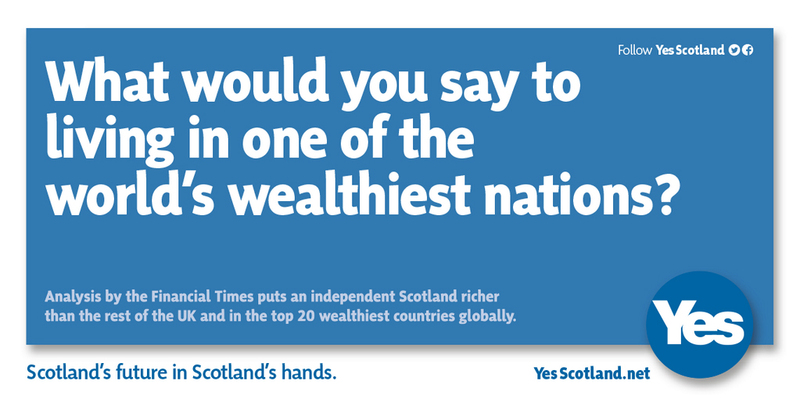 Over the last week the Yes Scotland campaign released a nationwide poster campaign. The thing that excites me most about political posters is that the good ones tend to distil the key issues down to only a handful of words. There’s no room for caveats or hedged bets. With political posters you’re spending huge amounts of hard-earned campaign funds to get the chance to deliver the most compelling version of your argument that you can. 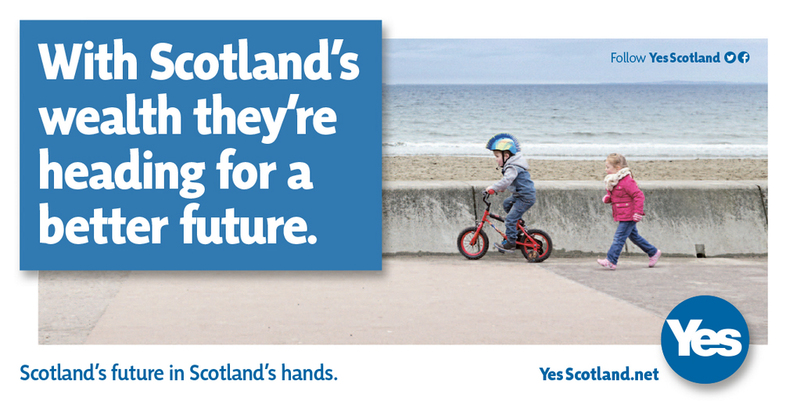 These posters convey the sense of optimism, hope and ambition that the Yes campaign is becoming famous for. They don’t get bogged down in the details of policy; the posters make big, bold statements in simple, motivating language. 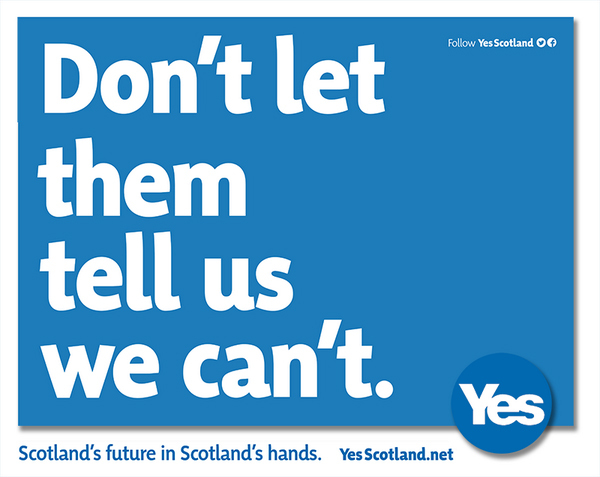 The final poster above, with the headline “don’t let them tell us we can’t”, is the one that nationalist advocates will doubtless have stuck in their windows and plastered on their Facebook wall. Rumour has it that the Better Together campaign are currently in research with their first major advertising campaign. As it is so often the case that those pushing for the status quo are in the business of selling fear, my bet is that they will be in a very different territory to this bonnie offering.